We had designed and printed Select Technology’s previous brochure for them a couple of years back. It was time for an evolution, to deliver their revised proposition in a new and interesting way. Select are positioning themselves to better reflect their offering of a business support company, not just providing IT but business support as companies grow, predicting what they’ll need and implementing in advance to ensure business owners can focus on what they do best. Help and support for your journey. 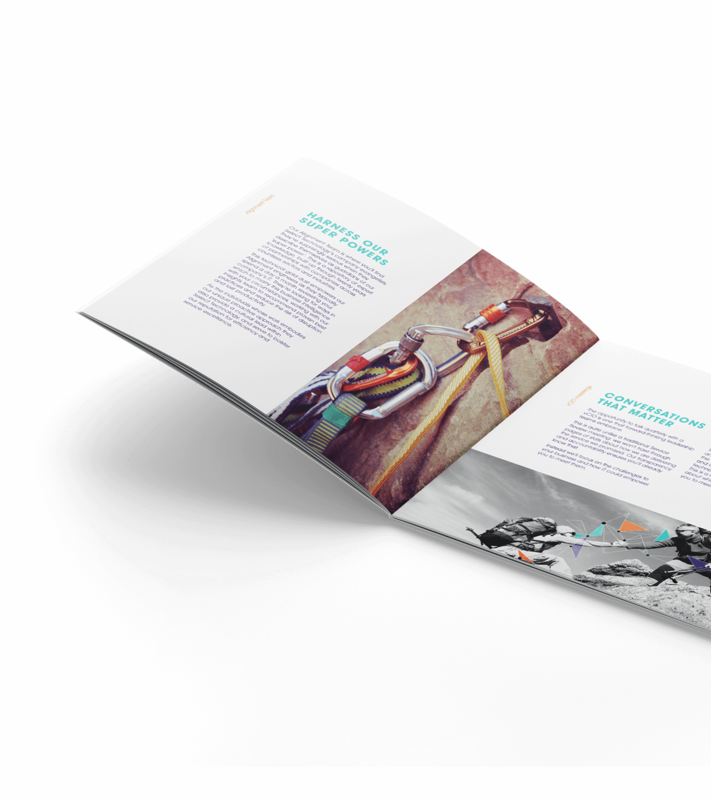 Gulp designed the brochure and the concept behind it to sit with the existing collateral. 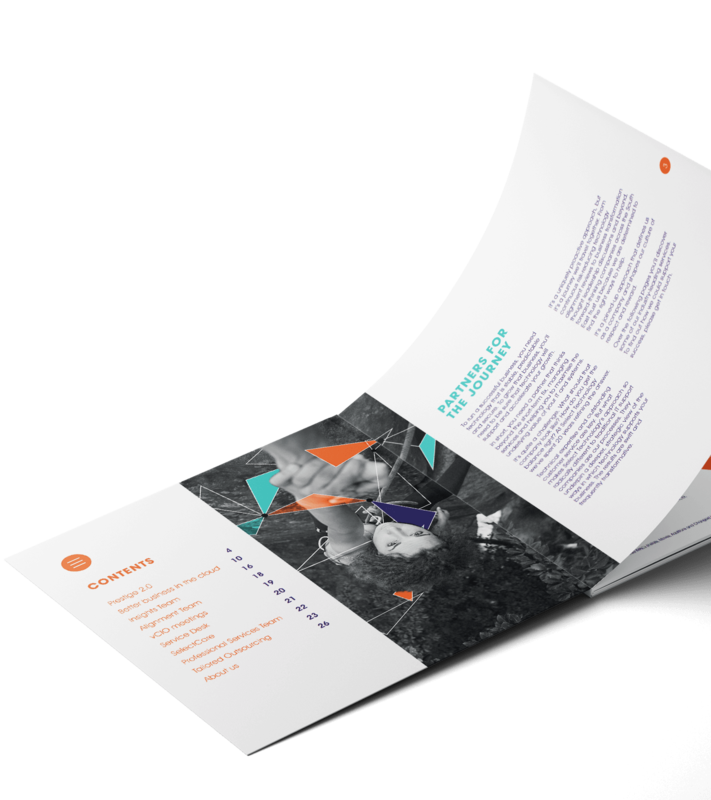 The concept developed from the original ‘network person’ from brochure v1. 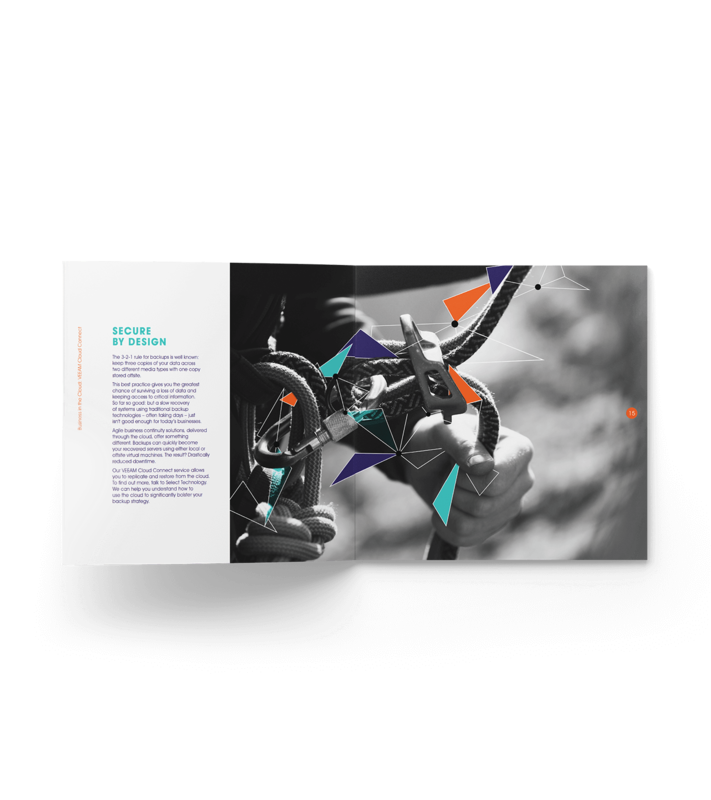 Still a feature of their collateral the network person is now delivered in a more fragmented way linking Select technology’s branding with the concept and challenges of business growth. 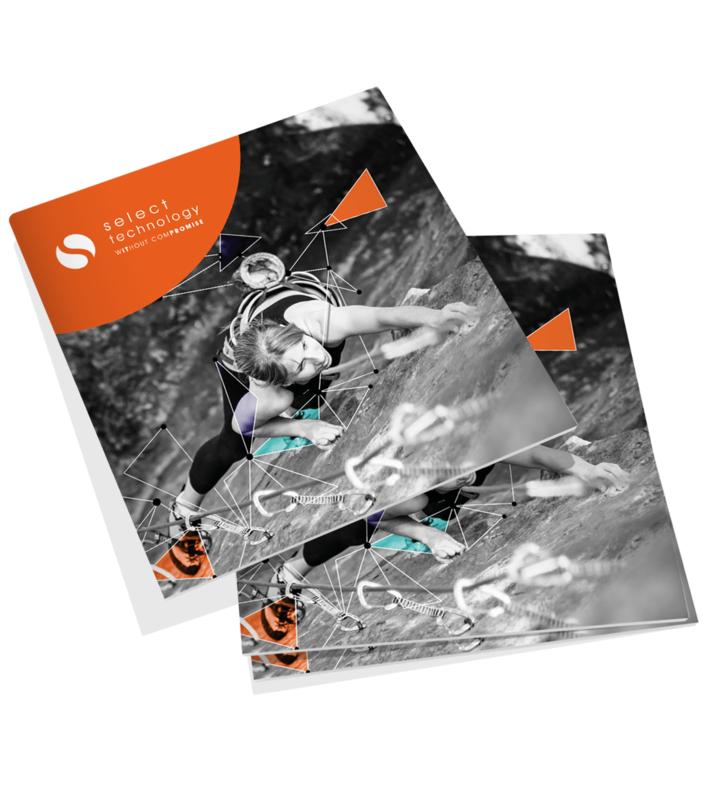 Mat, our copywriter, worked with text supplied by the client to ensure the delivery of a concise and information-packed read for anyone needing more details. As part of our work on the brochure, a clever play on words led to Select Technology asking us to provide a subtle evolution to their logo: We refined the roundel and adjusted the balance of the logotype to introduce the strapline “without compromise”. For anyone with an eagle eye, you’ll notice we’ve emboldened the IT and PROMISE parts within the strapline to provide a little feel-good factor for whenever anyone spots this little gem. Without Compromise is their I.T. Promise. Digitally printed and delivered in time to meet their exhibition deadline, we also provided a digital version for website downloads. Concept of support flows throughout. Fragmented network graphics combined with concept imagery. 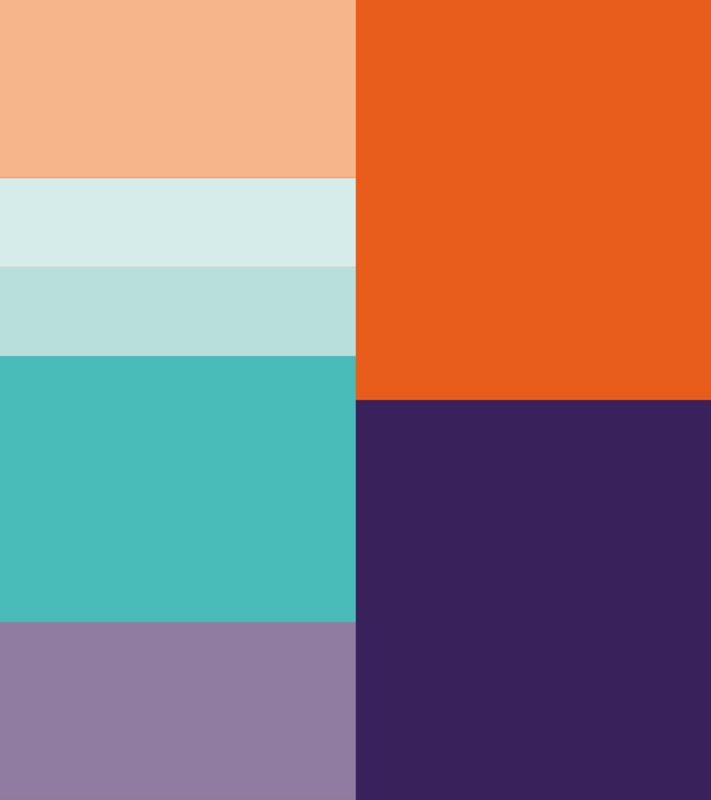 Vibrant colours retained from established guidelines.